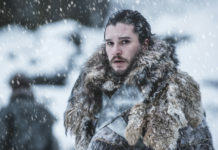 THE STYLE: It’s style and then some on a string of river ships kitted out with fantasy flair, in most cases much like a French château, all rich fabrics, marble and chandeliers. All-inclusive with tours, plus bikes, even Nordic walking poles, to borrow. And the experience extends around the world. 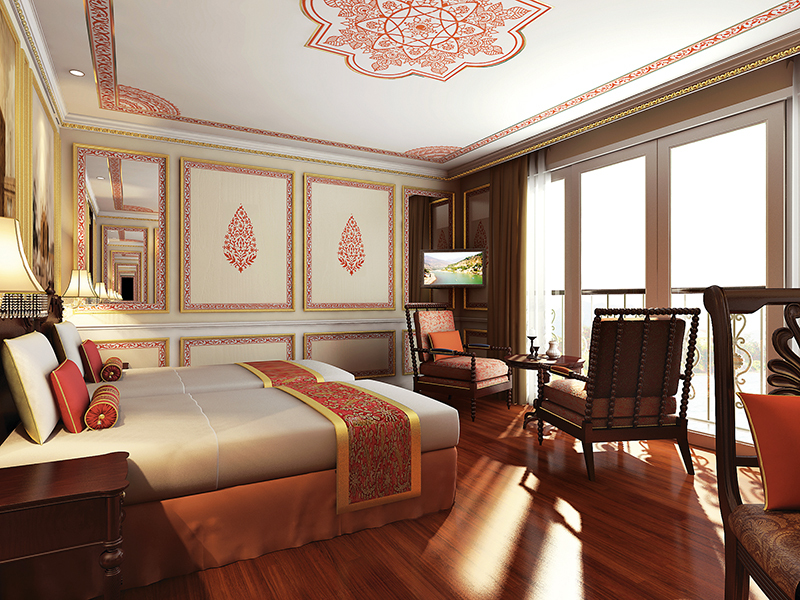 In India, Ganges Voyager II looks unassuming and traditional yet inside it is a world of hand-painted murals and colonial splendour, rooms with rain showers and flat-screen TVs. 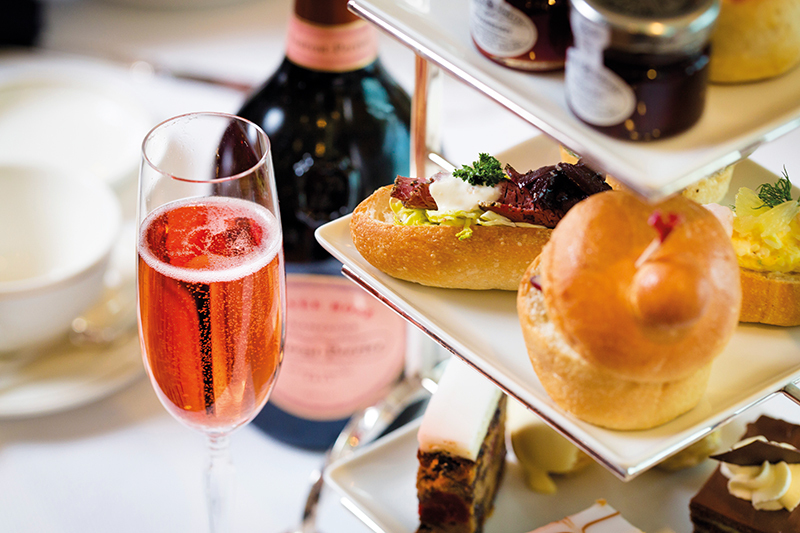 LUXE FACTOR: Exclusive excursions offering afternoon tea with an actual princess. LIVE IT: Ganges Voyager II’s 13-day India’s Golden Triangle & the Sacred Ganges trip combines a seven-night cruise from New Delhi to Kolkata with an overland tour. From £7,999pp, departing regularly, including flights, most meals, excursions and Titan’s award-winning VIP door-to-door travel service (0800 988 5175; titantravel.co.uk/cruiseinternational). 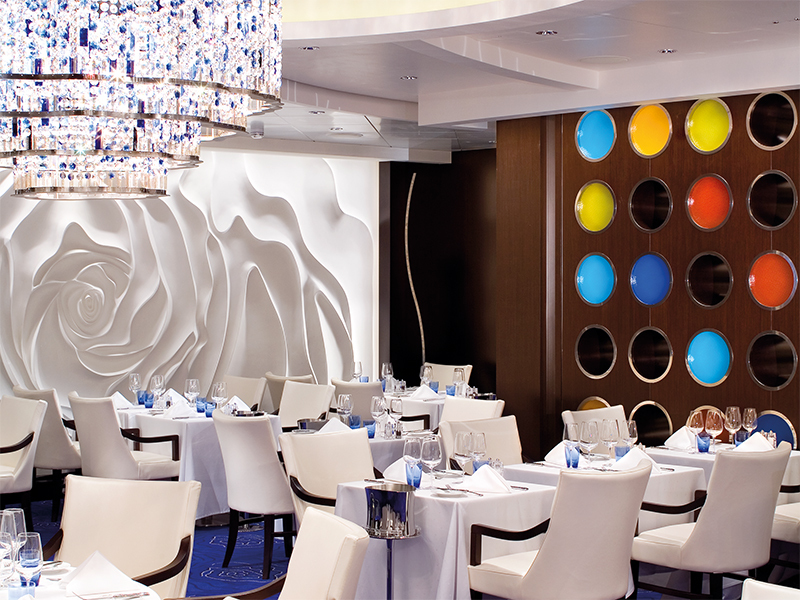 THE STYLE: One of the world’s leading luxury medium-sized ships, Europa 2 is all-suite, each with a balcony. Modern, casual yet run with spotless efficiency by its German owners, life on board is European chic with seven restaurants all included in the price, from the elegant open-air Yacht Club and the Art Deco styling of Tarragon with its French cuisine. Next year Hapag-Lloyd Cruises launches its Hanseatic vessels, designed for adventure cruising in luxury. 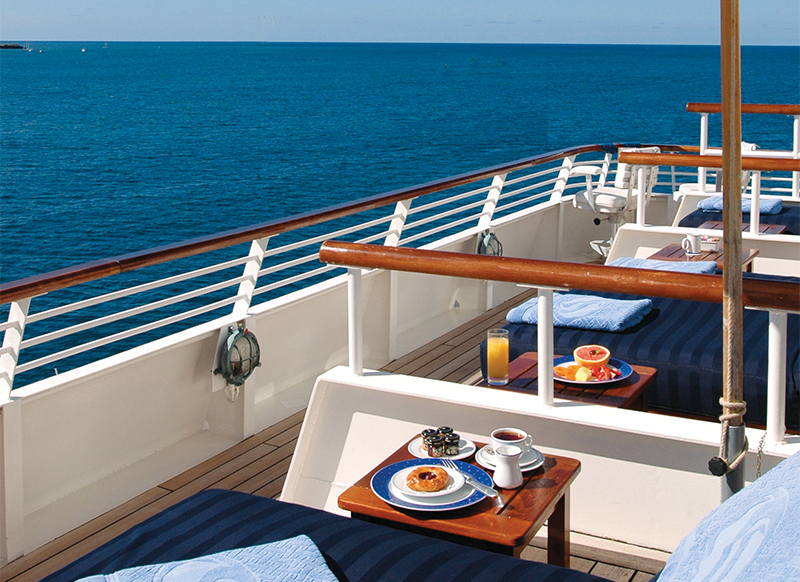 LUXE FACTOR: Waking up to an on-deck Pilates class in the morning sun, or having a late brunch at Sansibar. THE STYLE: The spirit of ocean travel as it was in the original golden age: grand ships and a grand lifestyle. 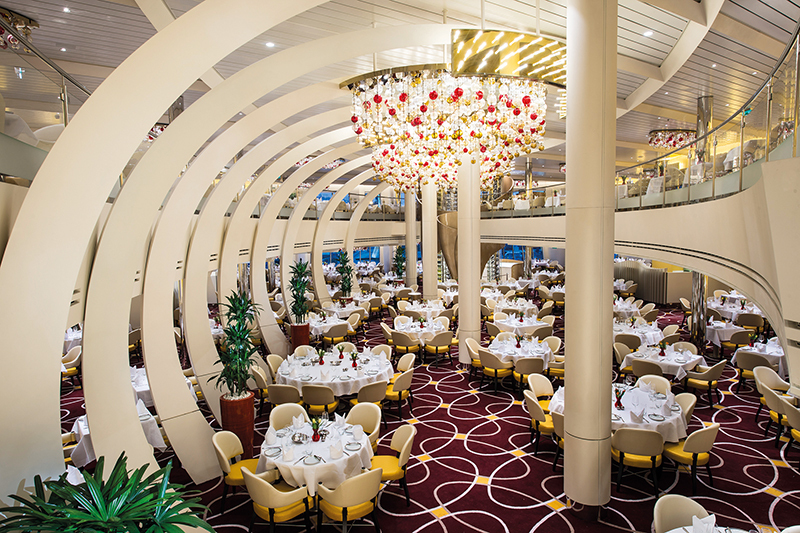 Yet now Cunard’s ships, Queen Mary 2, Queen Victoria and Queen Elizabeth, take in holiday hotspots, too. That doesn’t mean you miss out on the elegant black tie dinners, the dance parties, the refined atmosphere or the Art Deco styling that are a world away from most ships. And you feel like a movie star wherever you arrive – everyone loves the glitz of the world’s most famous cruise line and crowds often fill the quayside. LUXE FACTOR: Afternoon tea after a day on the beach, served by white-gloved waiters. LIVE IT: Queen Victoria’s 14-night Mediterranean Highlights cruise taking in Portugal, Spain, Italy, plus the islands of Corsica, Sardinia and Gibraltar. From £1,219pp, departing 8 June (0800 028 2177; bolsovercruiseclub.com). THE STYLE: This ultra-posh company is the name behind the Orient Express and grand hotels around the world. It has two ships on the Irrawaddy, while its string of exquisite river barges, for a maximum of 12 guests, cruise the relaxed waterways of France. 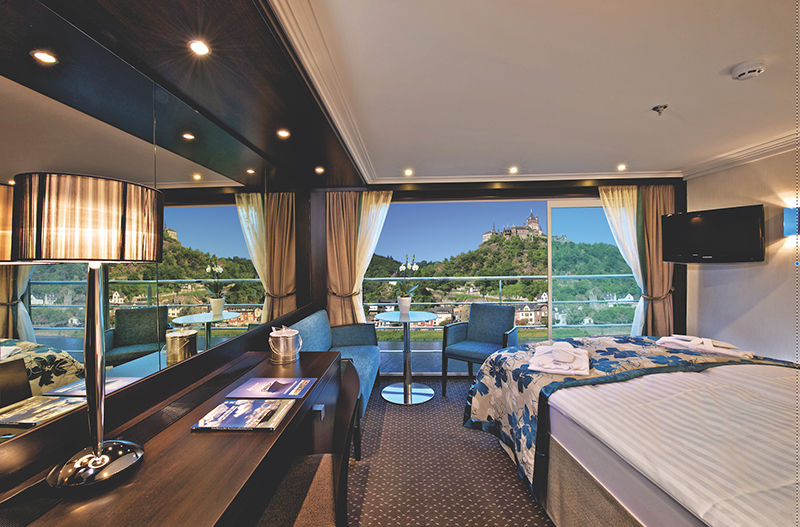 Think flamboyant furnishings and very individual rooms mixed with gourmet meals on deck, wine tours and truffle tastings. 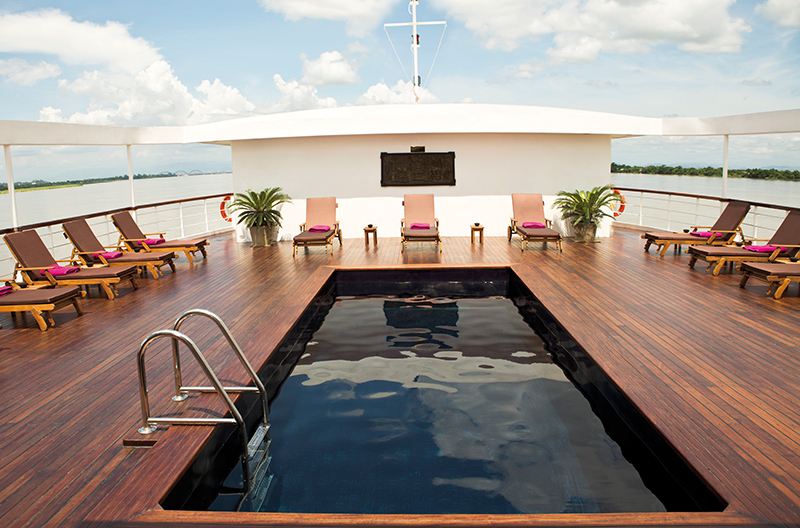 LUXE FACTOR: Bob in the on-deck pool, Champagne in hand, as you purr along a canal backwater. LIVE IT: A seven-night cruise on the Marne through the Champagne region on new Belmond Pivoine, passing the vineyards of the likes of Veuve Clicquot and Mumm. From £58,000 for eight guests (about £6,425pp), all-inclusive, cruise only. Various departures from May to September (0845 077 2222; belmond.com). THE STYLE: It’s “yachting not cruising,” they say, on a pair of sophisticated twin ships, SeaDream 1 and SeaDream 2, for only 112 passengers (each with a crew of 95). From May to October, it’s the cream of the Med, then the warm waters of the Caribbean, always aiming for smaller ports. The words ‘caviar’ and ‘lobster’ crop up in the plush restaurants and you can waterski from the watersports platform. 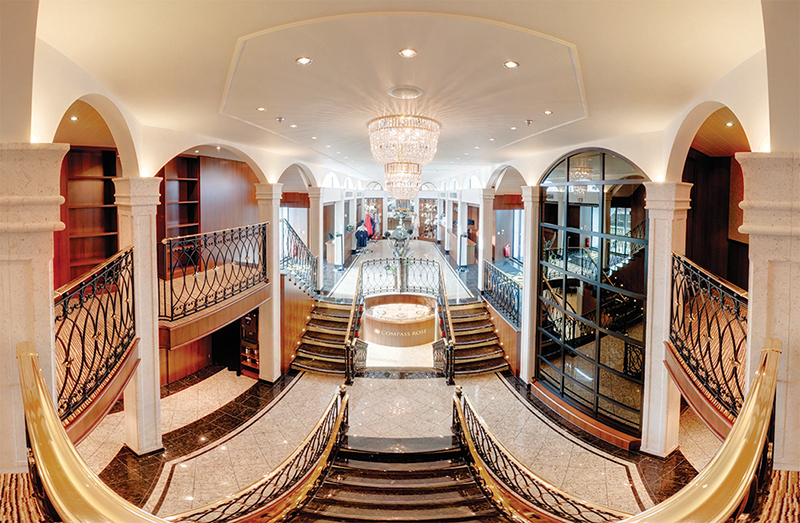 LUXE FACTOR: Sipping cognac in the Top of the Yacht panoramic bar as you sail into the night. LIVE IT: A five-night round trip from the playground of Monte Carlo, with more high life at Cannes and San Tropez. From £2,519pp, all-inclusive, departing 28 May, cruise only (0800 028 2177; bolsovercruiseclub.com). THE STYLE: Scenic is known for its string of Space-Ships: cutting-edge river vessels with all-inclusive service, plentiful dining venues and ebikes that you can borrow to explore vineyards, hillsides and riverbanks. This spring, however, things move up a notch with Scenic Eclipse, a breathtaking new ocean exploration ship. The plush service stays whichever end of the earth you’re at, while there is also an onboard helicopter and seven-seat mini-submarine. LUXE FACTOR: Kayak amid the penguins and whales, then settle in for an exquisite dinner. LIVE IT: One of the coolest cruise itineraries ever, the 21-day Antarctica, South Georgia and the Falkland Islands adventure from Buenos Aires round trip will allow you to see wildlife in their native habitat and explore natural wonders. From £19,845pp, departing 15 December, all-inclusive, including flights (0808 149 1803; sceniceclipse.co.uk). ships as well as Culinary Discovery tours, allowing you to browse local markets or wineries. LUXE FACTOR: Tucking into the 32oz porterhouse in the outstanding Polo Grill steakhouse. 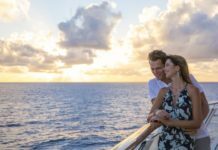 LIVE IT: The 17-day Panama to Paradise cruise on Regatta from Los Angeles to Miami, via the Panama Canal. From £9,565pp, departing 23 September, including flights and wine with dinner (0345 505 1920; oceaniacruises.com). THE STYLE: Elegant, mid-sized ships (all 15 of them) with the feel of the golden age of transatlantic cruising combined with the subtle contemporary décor of the newly reimagined suites. There are rich woods, works of original art (worth millions) and extravagant floral displays. Several ships are the inspiration of feted interior designer Adam D Tihany. LUXE FACTOR: Creating your own wine at Blend then catching a concert on the Lincoln Center Stage. LIVE IT: The 21-day Bermuda and Summer Cuba Collectors getaway from Boston round trip, taking in the Bahamas, Caymans and Jamaica. From £2,599pp, departing 16 June, cruise only (0344 338 8605; hollandamerica.com). for 62 people. 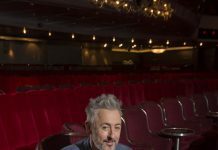 But it all started with ocean cruising and Crystal Serenity and Crystal Symphony include dazzling Broadway-style shows, nightclubs and more. 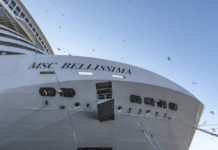 all-inclusive (0800 028 2177; bolsovercruiseclub.com). THE STYLE: Emerald Waterways’ Star-Ships are shiny and contemporary, with an indoor pool (under a retractable glass roof) offering fantastic views as they cruise the great rivers of Europe. There are EmeraldPlus excursions (concerts, drinks parties and such) and EmeraldActive outings (bike tours, hikes) and there’s always a drink waiting when you return thanks to the all-inclusive service. Emerald Liberté, launching this year, has all the style on a smaller scale to deal with the confines of France’s Rhône and Saône. LUXE FACTOR: Sipping regional wines as you enjoy the onboard Provençal dinner courtesy of a visiting chef. THE STYLE: Avalon’s dozen Suite Ships bring the world inside – floor-to-ceiling, wall-to-wall sliding glass windows open the whole room up as a balcony, with beds facing the river. Another eight vessels also explore Europe (as well as far-flung places – Vietnam, Myanmar, the Amazon and Galápagos). Borrow a bike (they’ll pack you a picnic, too) to explore, then enjoy fine dishes from Wrenkh Vienna Culinary School using local, seasonal ingredients. LUXE FACTOR: A complimentary glass of Champagne at breakfast. LIVE IT: The eight-day A Taste of the Danube from Vienna to Budapest, or in reverse, departing regularly, from £2,217pp, including wine with dinner, flights and VIP Home Pick-up Service (0800 668 1843; avaloncruises.co.uk). 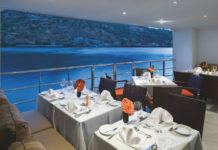 THE STYLE: French charm, ambience and cuisine on a collection of small ships (none carrying more than 300 guests) offering luxury cruises, from superyachts to Le Ponant with its sails. Zodiac inflatables and food masterminded by French chef Alain Ducasse. 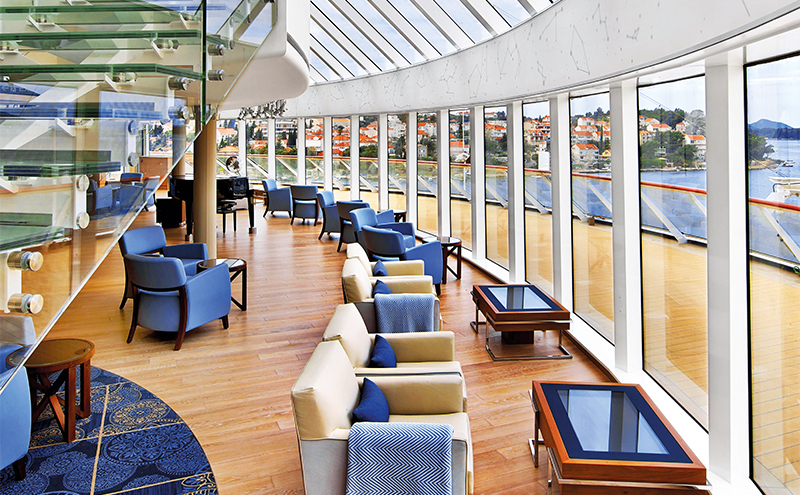 LUXE FACTOR: Sipping a drink in Blue Eye, the new ships’ multi-sensory underwater lounge with windows. Chaîne des Rôtisseurs membership (not least at the Chef’s Table, a tasting menu created in front of you, all included). Tours in every port (and a fleet of bicycles to borrow) along with plenty of places to relax. 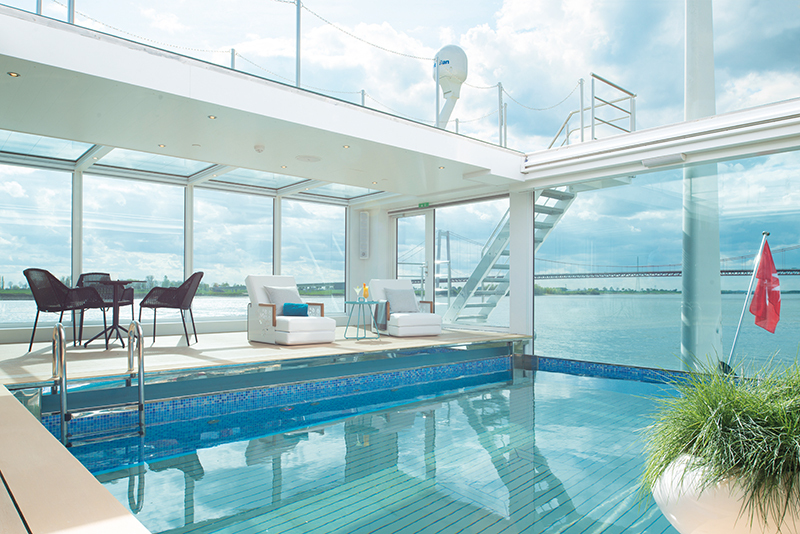 LUXE FACTOR: Lazing in the on-deck pool under the European sun, then splashing over to the swim-up bar. LIVE IT: A 14-night Magnificent Europe, AmaLea’s cruise from Amsterdam to Budapest taking in Cologne, Vienna, Bratislava and more. From £6,199pp, departing 6 May, cruise only (0800 028 2177; bolsovercruiseclub.com). 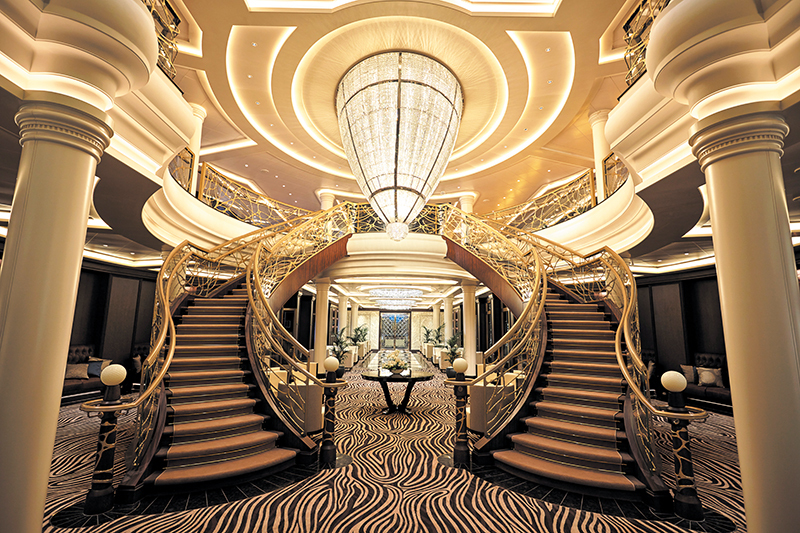 THE STYLE: Cutting-edge small-ship luxury cruises on five vessels each carrying only 458 guests and all with the feel of a private club, not least new Seabourn Ovation, the creation of exceptional interior designer Adam D Tihany. All-suite accommodation (a free mini bar stocked with your favourites), wine flows with dinner, there’s no surcharge no matter in which spellbinding restaurant you are, and each ship has a fold-down watersports platform. LUXE FACTOR: Dining on dishes masterminded by American chef Thomas Keller, who is behind several Michelin-starred restaurants including California’s French Laundry. LIVE IT: A 14-night Thailand & Vietnam from Singapore cruise to Hong Kong, taking in Vietnam’s Ha Long Bay and Cambodia for the Angkor Wat temples. 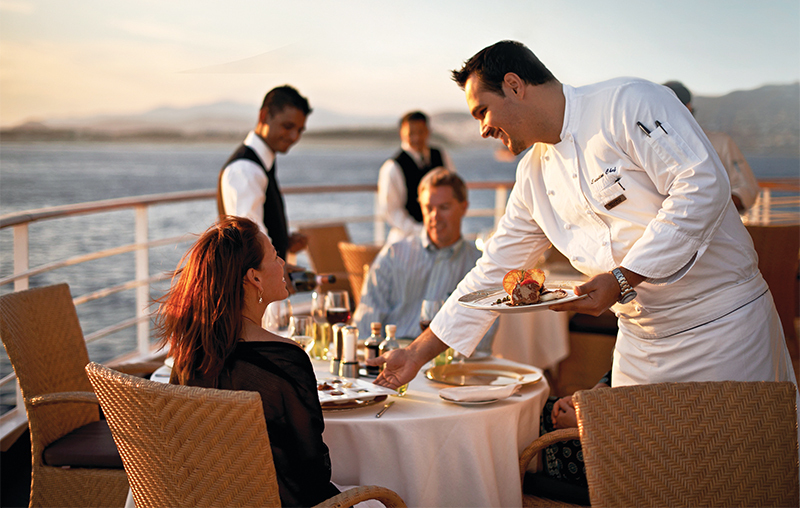 From £4,999pp, various departure dates from December to March, including wine with dinner (0843 373 2000; seabourn.com). 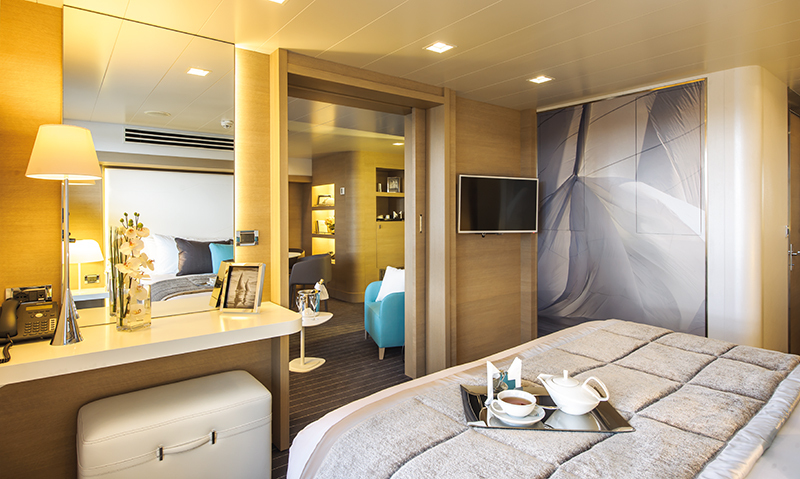 THE STYLE: Viking’s ocean ships are an oasis of cool, calm, contemporary chic with the boutique Scandinavian feel that has become the brand’s hallmark, offering luxury cruises with a contemporary twist. The fleet grows to six in 2018, all carrying 930 guests. The Wintergarden is a stylish venue for the (complimentary) afternoon tea, The Spa features a wealth of Nordic touches and indulgent treatments, and the included restaurants are excellent, including the Italian, Manfredi’s, widely acclaimed for serving some of the best steak at sea. 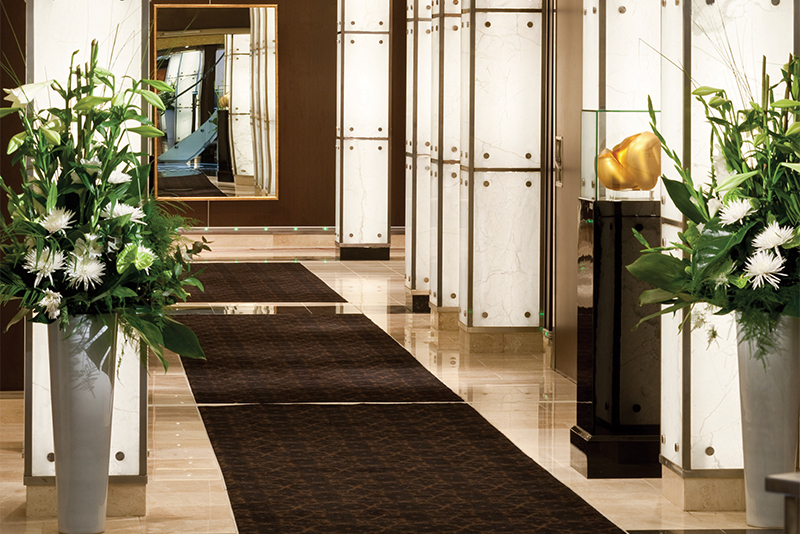 LUXE FACTOR: A complimentary shore excursion in every port and unlimited free wifi. LIVE IT: A 29-day East Asian Odyssey from Bangkok to Beijing, or in reverse, with seven calls in China. 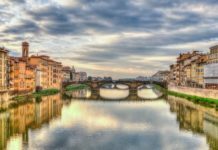 From £9,565pp, departing 23 September, including flights and wine with dinner (0208 780 8700; vikingcruises.co.uk). THE STYLE: Silversea’s growing collection of boutique ships (now nine) are Italian family-owned and have a glorious understated Europe-meets-America feel, perfect for elegant luxury cruises. Pale shades (definitely never beige) and a selection of sleek restaurants with all-inclusive treatment. 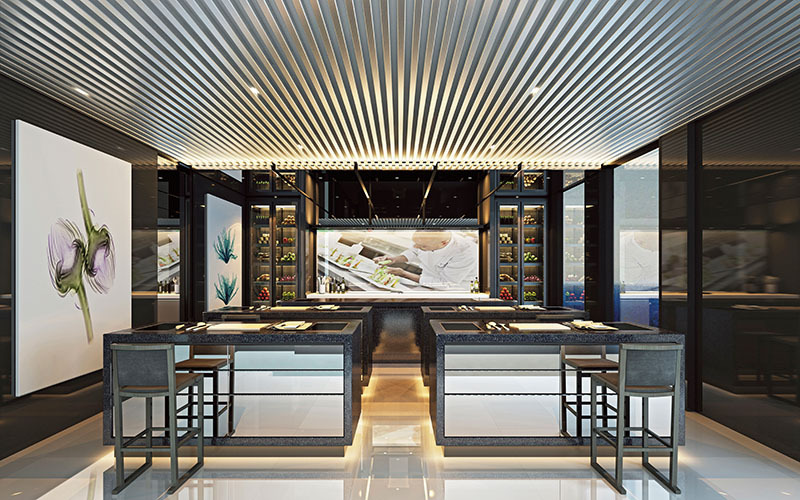 There are conventional luxury ships (such as 2017’s new flagship Silver Muse for 596 guests) and there are luxury expedition ships, and then Silversea’s new Couture Collection, super-upscale add-ons. LUXE FACTOR: Dinner in La Dame, French fine dining from a menu by top Relais & Châteaux chefs. LIVE IT: The 16-day Zanzibar to Durban cruise sailing on Silver Discoverer, departing 27 November, from £13,900pp, cruise only. Add an eight-day safari with private flights, gorilla trekking and three days in Tanzania’s Serengeti National Park, from £20,000pp (0207 340 0700; silversea.com). dining (including the Prime 7 steakhouse and the French restaurant Chartreuse). Four medium-sized ships include Seven Seas Explorer (christened by Princess Charlene of Monaco, no less), rated one of the world’s finest cruise ships. LUXE FACTOR: Chill out in the Infinity-Edge Plunge Pool that brings the sea close, outside the Canyon Ranch SpaClub. LIVE IT: The 25-day Deluxe South American Discovery combines a 16-night cruise with stays in Rio de Janeiro, Buenos Aires, Santiago and monumental Iguaza Falls. From £11,499pp, departing 26 January, including flights, most meals, excursions and Titan’s VIP door-to-door travel service (0800 988 5175; titantravel.co.uk/cruiseinternational). 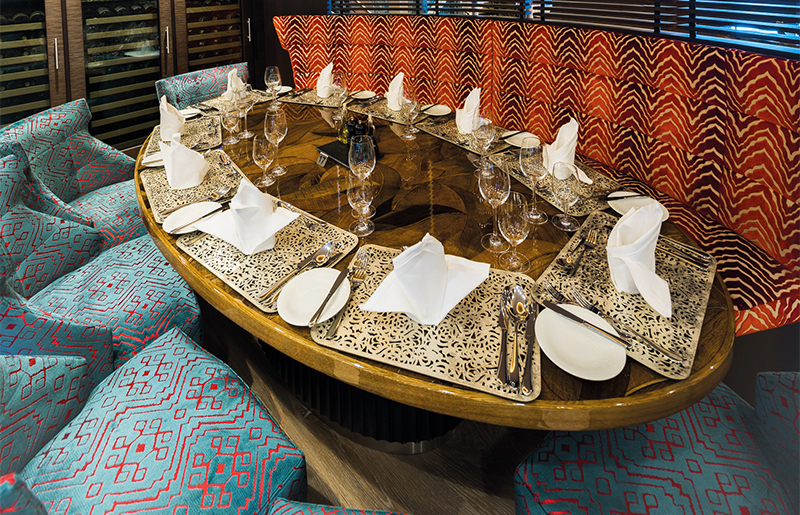 THE STYLE: A Destination Fleet of river vessels designed for luxury cruises carry either 98 or 130 guests in a club-like atmosphere, being both roomy and intimate with sophisticated décor that nods to the past while encompassing the present. All-inclusive service, a choice of dining, bikes to borrow, culinary demos and included excursions, often to exclusive venues. 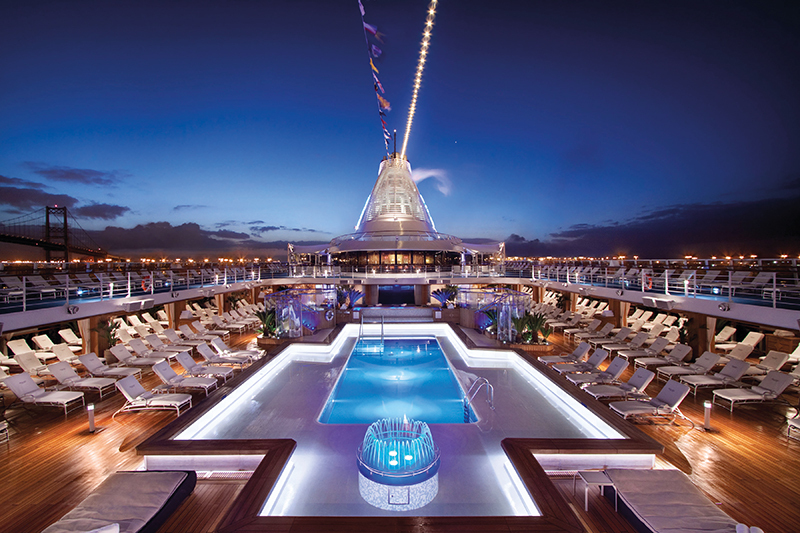 LUXE FACTOR: Soaking up the ambience from the 24-hour on-deck whirlpool. all-inclusive, including flights (0800 810 8020; tauck.co.uk). THE STYLE: Like travelling in history, with all mod cons. 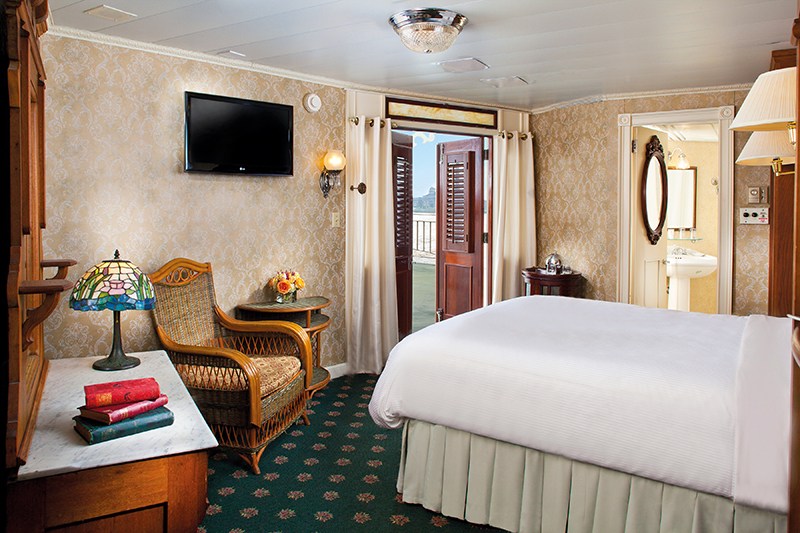 The world’s most exquisite paddlewheeler American Queen features Victorian styling yet there’s free coffee and cookies on deck as you sit in rocking chairs. The J.M. White dining room is sumptuous with many Southern-inspired dishes, and there are included tours on smart coaches that follow the riverboat as it makes its way along the Mississippi. LUXE FACTOR: Cruising through the evening in sophisticated south while sipping a bourbon on the Engine Room bar’s tiny veranda by the splashing paddlewheel. LIVE IT: A 16-day holiday featuring a seven-night Memphis to New Orleans cruise, with two nights in each, plus an escorted tour, staying in Atlanta and Nashville. From £6,399pp, departing 24 October, including flights, wine with dinner during the cruise and VIP door-to-door travel service (0800 988 5175; titantravel.co.uk/cruiseinternational). 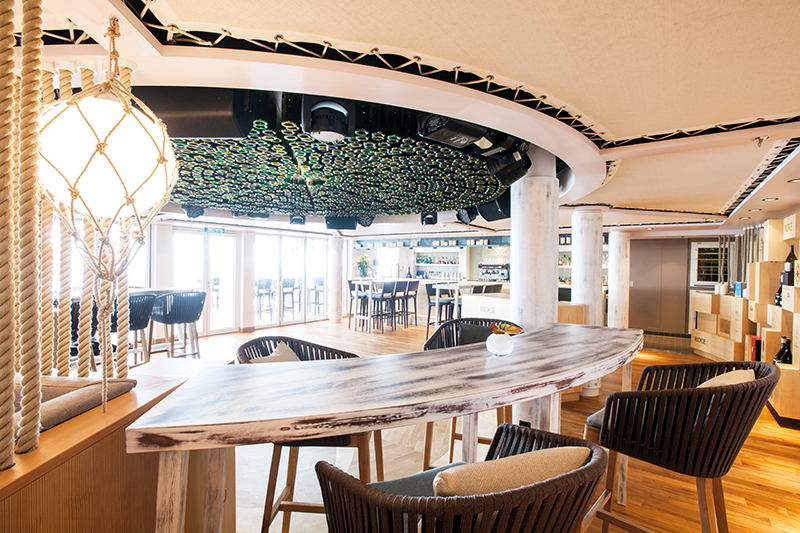 THE STYLE: Celebrity Cruises has a fleet of sleek ships, the natural link between small boutique vessels and mainstream ships. Elegant restaurants, smart theatres and neat bars. 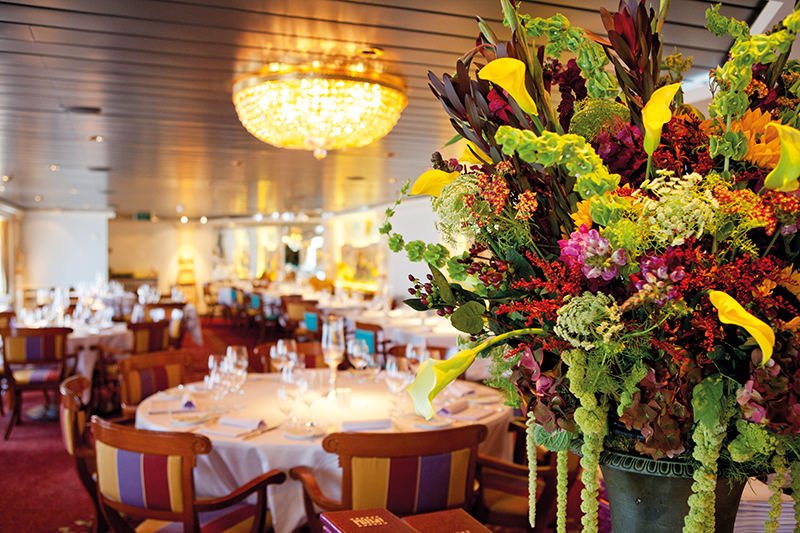 Yet it also has a small collection of little expedition vessels dedicated to the Galápagos region, not least the exceptional new Galápagos ship Celebrity Flora, specially designed for the protected region and carrying 100 guests – and a Michelin-starred chef. LUXE FACTOR: Celebrity Flora’s top-deck Sky Suites with ceilings that fold back so you can sleep under the stars. LIVE IT: The seven-night Galápagos Outer Loop sailing includes twice-daily shore landings and excursions. 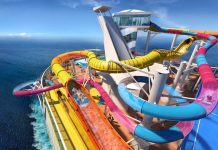 From £9,750pp, all-inclusive, cruise-only, departing 26 May 2019 (0844 493 2043; celebritycruises.co.uk).